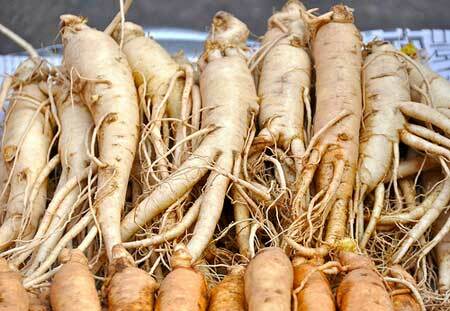 Ginseng is also consumed by steeping some dried slices of it in hot water, like tea. I sometimes do this before going to bed in order to reduce “Qi” in the body. I also suggest this drink as a replacement for evening teas or coffee. 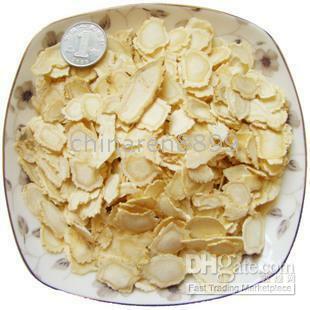 “Both American ginseng (Panax quinquefolius) and Asian ginseng (Panax ginseng) roots are taken orally as adaptogens [a product that increases the body’s resistance to stress], aphrodisiacs [you can guess…], nourishing stimulants, and in the treatment of type II diabetes, as well as sexual dysfunction in men. 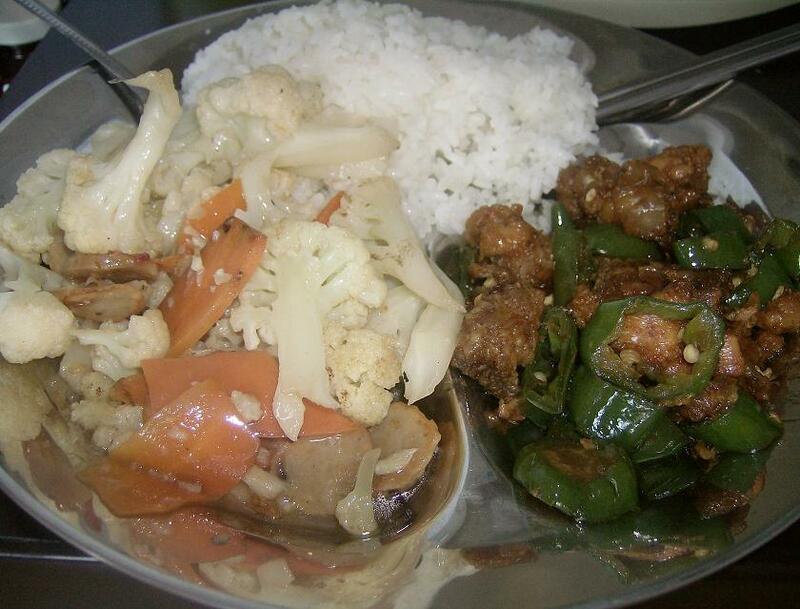 Today, I ate cauliflower and carrots with thin sausage slices and spicy chicken chunks (辣子鸡 La zi Ji). La zi Ji is one of the most famous dishes from Si Chuan province. This meal was a little on the meaty side …. but, I usually get a single meat and a single vege (or toufu) dish together with white rice. Other days it is fish and veges and toufu. Most days I’ll also order a soup which contains peanuts, kelp, eggs, and chicken bones. My canteen meals are quite varied and I get inspiration for new recipes from there. Best of all, I can eat lots of great food for little money. Paying $1-2 for a bag of chips just doesn’t make sense anymore.